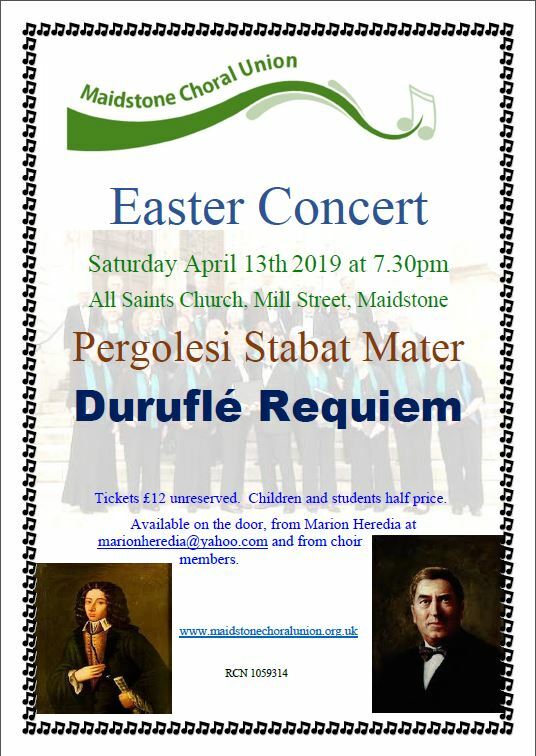 The Choir, professional soloists, organ and string orchestra conducted by our Music director Martin Hindmarsh will perform Pergolesi's deathbed masterpiece, Stabat Mater, followed by the Duruflé Requiem. This is widely regarded as one of the finest 20th century Requiems and is based on Medieval Gregorian chants. The concert is held in the fine All Saints Church in the middle of Maidstone.